Did you know that we have frogs at Bonorong?! Well Fronk, Freddo, Kermit, Gronk and Charlie are five very special frogs that call Bonorong home! These little guys are 'Tasmanian Tree Frogs', but unfortunately they are in quite a bit of trouble, just like many other frog species around the world. Amphibian populations in Tasmania are at risk from the spread of a fungal infection called chytridiomycosis (or chytrid for short), which is responsible for the extinction and population declines of hundreds of species all around the planet. 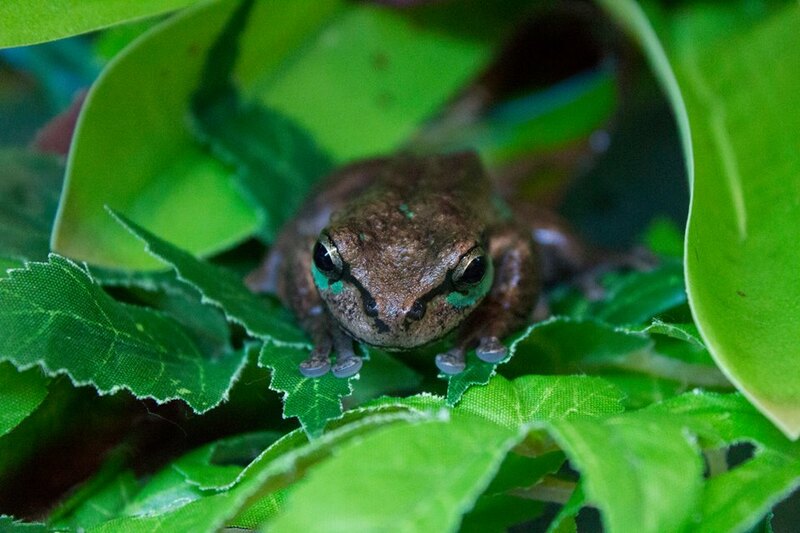 The beautiful Tasmanian Tree Frog lives predominantly in the South West Wilderness World Heritage Area and while this is one of the most secluded places in the world, chytrid has already been found in the region. With very low population numbers reported for the Tasmanian Tree Frog in general, it is feared that the species could be heavily and quickly impacted if infected by chytrid. Worryingly, trials have shown that this species is more susceptible to chytrid infection than many other frogs around the world. This situation means that maintaining a captive insurance population and attempting to breed the species has taken on a new urgency. In partnership with the Tasmanian Government, and with support from NRM South through funding from the Australian Governments National Landcare Programme, Bonorong has already begun this pioneering work for the first time in captivity. We have set up a quarantine facility on site at Bonorong to try and establish a breeding program and help save the species. So little is known about Tasmanian Tree Frogs that the research being undertaken is essential if management and conservation measures are to be effective. Check out the below flyer for some easy steps to help reduce your impact on frogs & the environment. 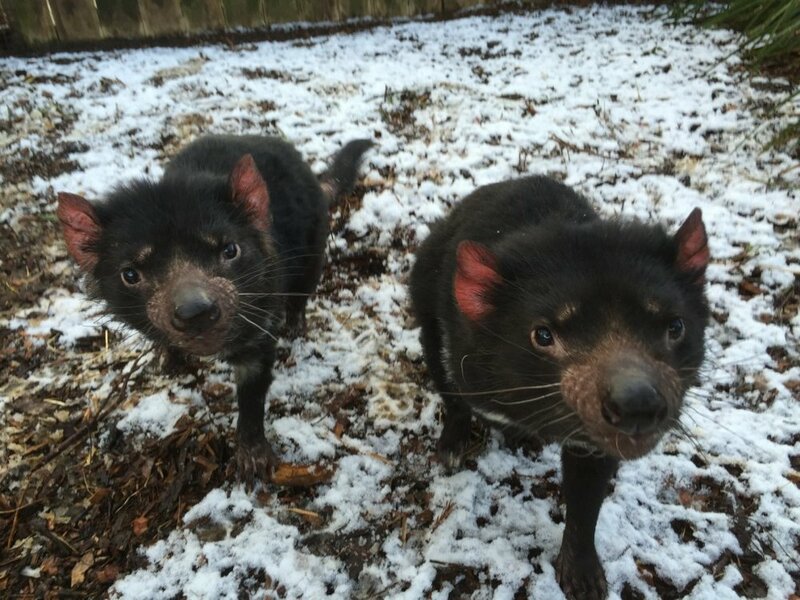 Tasmania has had a number of record low snow falls over the month of August, which has certainly proved to send most of the locals into a snow frenzy! Social media literally had a 'white-out' and the snow has also caused many road and school closures over the past few weeks, particularly in southern Tas (which also meant staff not being able to get to work!). Hobart actually had its largest dumping of snow in almost 30 years! The snow on one occasion reached sea level, so our capital was deemed 'Snowbart' for the day. This very rare occurrence of the snow being at such a low level meant that Bonorong became a winter wonderland, which really was an incredible sight to see! For all the current permanent residents that call the Sanctuary home this was the first time they had ever experienced snow and it was amazing to watch how the animals reacted! We had a mob of very grumpy & cold kangaroos that were EXTRA keen for their breakfast! We had a wombat that started running around biting the snow and then doing crazy flips in excitement because she couldn't figure out what was going on! The devils were very unsure and lifted their paws to try and figure out what the weird substance was that we had put in their enclosures! The emus were busily pecking at the snow and then decided to eat the snowman that the keepers built....yes only emus would do this! And there was no sign of our clever echidna 'Randall' who stayed hidden away underground. But the main animals that seemed to react in the strangest fashion were the humans...yep the keepers went a bit silly! ...There were snowball fights, Christmas carols, dancing and even some attempt at tobogganing on the hill side! Needless to say it has just reassured us what an amazing place Tasmania is to call home and for all our guests that had the privilege of seeing the Sanctuary in this magical setting we hope that there will be more snow next year! 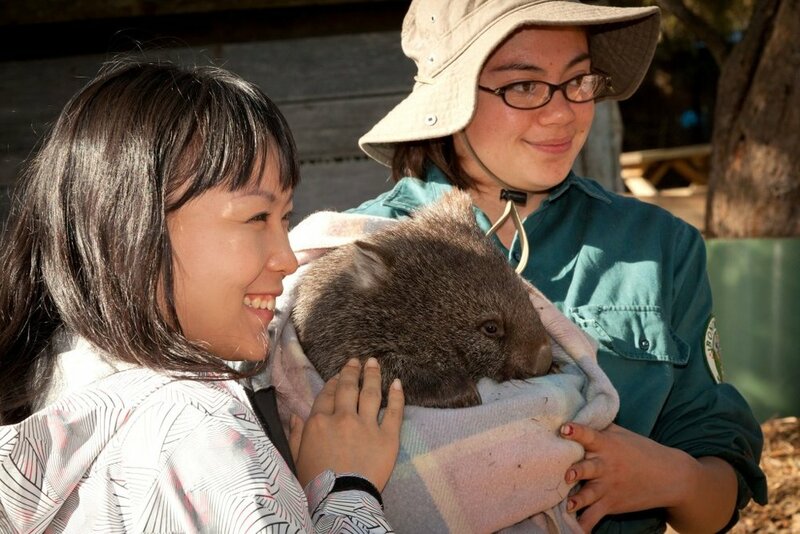 Do you want to be a wildlife keeper? Well, did you know that here at Bonorong we run an internship program where you can learn to do just this?! That's right! We run a 12 week course that is jam-packed full of everything you need to know to kick start your career in the animal industry!! It is a nationally-recognised training program & run in conjunction with Tas TAFE. Successful participants will acquire their Certificate II in Animal Studies upon completion of the course. If this is something that sounds interesting to you then please send us an email - info@bonorong.com.au - and we can send you our info pack with more information. We look forward to hearing from you soon! It’s been a very busy few months of wildlife rescues and we want to say a big THANK YOU to all of our volunteers for pulling out all stops to get those critters in need to help. We are constantly amazed by how patient, committed and generous you bunch are and we’re truly thankful to you all for making the rescue program possible. As a lovely reward for all the work staff and volunteers put into making the Rescue Program work, Bonorong has been nominated for a UNAA World Environment Day Award. Winners are announced at a ceremony in Melbourne on June 5th so watch this space for more news! To illustrate the work that makes the Rescue Program so special, we would like to share a video and below write up sent to us from one of our rescuers. We hope you enjoy it as much as we all did! "Last Friday afternoon, after work, I travelled to Blackmans Bay to see if I could capture a kelp gull, tangled in fishing tackle, that had been eluding capture for quite some time. Seeing that she was still too mobile for straightforward capture, and not having a net, I used some bread from a local cafe to attempt to lure the bird. She had a squid jig snagged under one wing, and the fishing line wrapped tightly around both legs. I crawled, crept and walked after her as she was able to hop up and flap a couple of times to stay out of reach, over and over again. Hands and knees, knees and elbows, commando crawl for over 45 minutes. That's three quarters of an hour. It felt like 10 minutes. The gull eventually tired enough that I was able to quickly lunge, gently pin her down and pick her up, and walk to the car, bird under arm, honking angrily, amidst strange looks and concerned questions from numerous passers by. I drove to AHVEC with the gull scrabbling and rattling in the plastic crate which left me in little doubt that she was still spirited enough! The amazing staff at AHVEC used a bit of gas to subdue the bird, remove the fishing line and squid jig, and pronounced the bird fit for release that evening. Releasing the gull back at Blackmans Bay was one of the most uplifting experiences I have ever had. Watch the video and you can imagine her thinking "Ooh! Wings! Wings! I can move my wings! Yep, full movement!" To make sure she was OK, I approached her, and she took flight. And kept flying, much further than necessary. I hope she's still OK, and that the swelling in her legs has subsided, and that the remnants of the wound under her wing has healed fully. Many thanks for Greg and staff for providing the opportunities to interact with our wildlife like this. This was a happy ending, but certainly no more important than the many calls requiring injured marsupials, for example, to be transported for euthanasia. I also learned that patience is a virtue, and to not give up on a rescue to soon. I will remember this experience for the rest of my life, and am more keen now to continue to take on the challenges that arrive daily on my phone". Click here to watch the video link of the release. The day had finally come for one of our long term rehab patients to be released! 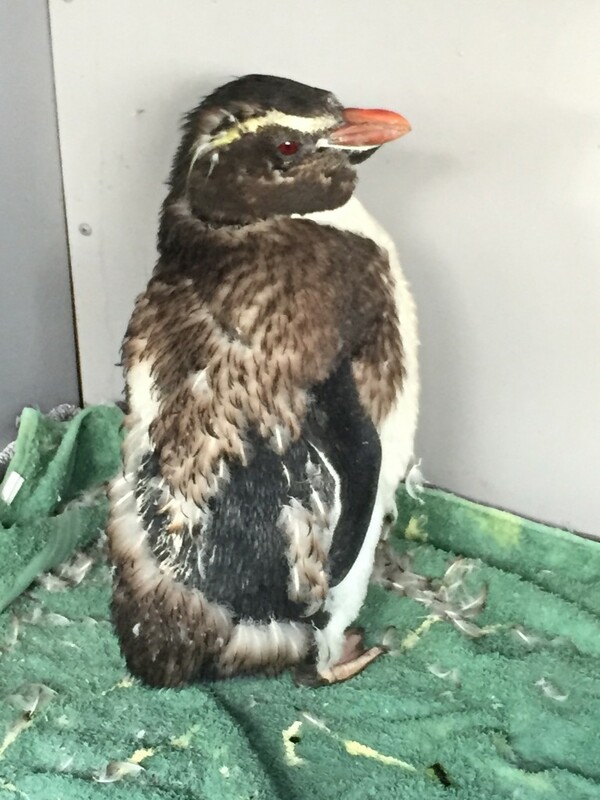 This was a rather special patient, a Snares Crested Penguin as a matter or fact, who was found on a beach in southern Tasmania badly injured a number of months ago. Her wounds were deep and were suspected to have been caused by a dog attack. She was very lucky to have been found in time and taken to a specialist vet for surgery. Once the surgery was done she was transferred to a wildlife carer whose expertise is in seabird rehabilitation. This wonderful carer looked after the penguin for the first 8 weeks (often the hardest, particularly with a bird so susceptible to infection). Thanks to this carer the penguin was able to be transferred to Bonorong when it was deemed necessary for the bird to have access to a lager salt water swimming pool and stayed with us for the remainder of her time in rehabilitation. Because of the nature of the penguin's wounds her feathers and skin were very traumatised and we had to wait for her to 'moult' before she could be released. Moult is the process that penguins will go through once a year to grow a new set of feathers that keep them waterproof. Penguins will usually go through their moult between the months of February to April and the process can take up to three weeks. Penguins are very vulnerable while they are moulting as the are not waterproof and must remain on land. Before going into the moult penguins will literally double their body weight, this is to survive the time they have to stay on land not being able to feed. 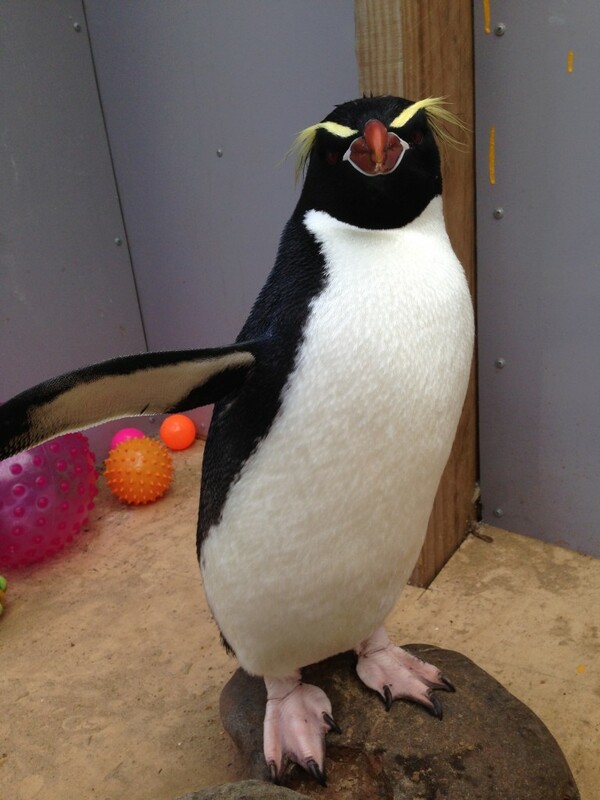 The penguin luckily went through a perfect moult and was given the all okay to be released! This was incredibly exciting news for all of the staff and everyone that had been involved in her long rehabilitation process. On the day of the release, thirteen of the staff had extremely early starts to get to the release site by dawn, and with perfect weather conditions & a stunning sunrise everything came together just as we had hoped! Thank you to everyone that was involved in helping this penguin make a wonderful recovery, it is the amazing success stories like this that keep us all inspired to do so much more! Are you killing the ducks with kindness? Everyone loves ducks, well most people do anyway! And what do people like more then ducks? They love feeding ducks!! And how couldn't you when they are as cute as this little fellow?! But could you actually be killing them with kindness? Have a read of this great article put together by our Head Keeper Jason to re-think the duck feeding scene. "The feeding of ducks, in particular human foods like bread, can cause serious health and behavioural issues in individual birds. Bread does not provide ducks with the correct vitamins and nutrients that they require, but instead overloads them full of carbohydrates, proteins and salts. As a result ducks tend not to forage for their natural food, and often die at a younger age. The over-loading of carbs and proteins in younger ducks can lead to a condition known as "angel wing," where the wrist joints become distorted, resulting in permanent wing damage, loss of flight capabilities and therefore an early death, due to predators or not being able to feed correctly or migrate when food runs out in an area. In addition to these impacts, old, stale, mouldy bread can harbour fungal spores. Ducks are susceptible to a condition called aspergillosis, which is caused by the build-up of fungal spores due to a suppressed immune system, which is most commonly caused by poor nutrition in wild ducks. Aspergillosis is fatal and can be spread to other birds, especially if it enters waterways. The feeding of ducks leads individual ducks to be de-sensitised to potential threats by taming, and this increases their chance of being hit by cars and attacked by dogs. Many, and in some cases, all of the ducks that are getting fed around Tasmania are introduced species such as the Northern Mallard, Muscovy ducks and hybrid black-mallards. Mallards and Muscovy ducks have become established in several areas and are a feral species. These species out-compete native Tasmanian species such the Pacific Black Duck and Australian Wood Duck. Feeding non-native ducks allows them to grow faster, leading to both higher reproduction rates and greater duck survival rates. These increasing populations then move into native duck territories and begin to out-compete them for natural food sources and roosting sites. Areas where ducks are fed regularly soon become overcrowded, and other non-native species such as rats, mice, starlings and sparrows become attracted to the area also. This leads to increased disease transmission. Possibly the least known issue is probably the greatest. The feral Northern mallard mentioned above is closely related to our native Pacific black duck. The two species can therefore cross breed to produce mallard-black duck hybrids. Purebred Pacific black ducks are rapidly becoming less common because of this interbreeding. The next time you are visiting an area that is home to ducks, instead of feeding them, take a seat and watch them go about their daily business. Ducks can get up to all kinds of mischief, and we guarantee that watching them and trying to identify the different species of Tasmanian native ducks can be just as enjoyable for the family!" The Chinese President made a flying visit to Hobart this week on the tail end of the G20 summit. Greg (our director) had the privilege of meeting Mr Xi Jinping 习近平 and his lovely wife Madam Peng Liyuan at Government House. Greg took along three baby Tasmanian Devils to say g'day to the VIP guests and they were absolutely delighted to meet our furry little companions! 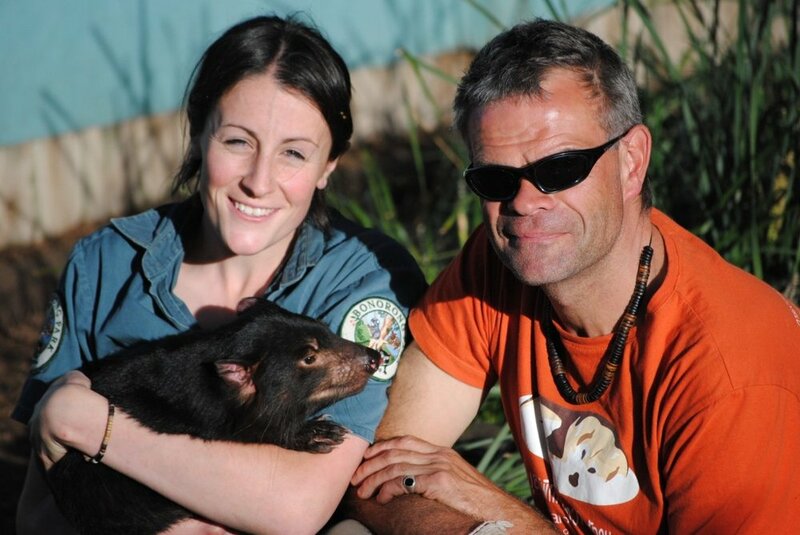 It was a once in a lifetime opportunity and we are so glad that Bonorong was invited to come along to help create awareness for the Tasmanian Devil. Happy Birthday Fred - 100 years old! The Sanctuary has held a special birthday party for one of our residents 'Fred', who is a Sulphur-crested Cockatoo. We were celebrating quite a milestone as Fred has turned 100 years old! Fred's party was a fantastic success! We had loads of 'cockatoo themed' activities for kids such as face painting, colouring in competitions, mask making, tree planting, card making and lots of yummy party food! Everyone was also encouraged to wear yellow and white or actually dress up as a cocky and we had some very impressive efforts! Thank you to all who came along and made it such a great day for our special man. Fred was absolutely over the moon with all the attention and his highlight was definitely his specially made birthday cake! The Queen even acknowledged Fred's milestone and sent us a letter to wish him the best! As a result we had quite a bit of media attention from local television stations Win, ABC and Southern Cross News. The story has also hit national and international news which is very exciting for Fred and Bonorong!! A huge thank you to Linda and the rest of our amazing fundraising team who organised Fred's entire party, made all of the birthday treats (including Fred's beautiful cake) and volunteered their time at the party as well. You are all such wonderful people! Is this the most adorable creature in the world? Puggles - one of the most adorable creatures on our planet. Prepare for a cuteness overload!!! This beautiful bundle of joy is a 'puggle' which is the name used for a baby Echidna or Platypus. This happens to be a Short-Beaked Echidna puggle and it is actually very rare to see them at this age as mother Echidnas dig nursery burrows deep under ground to hide their babies away safely. This little puggle sadly was discovered by a roaming dog and we suspect that it was dug up from its burrow. It was found in the dogs mouth but amazingly only had superficial injuries and was in good body condition. We unfortunately were unable to locate where the nursery burrow was located so this (soon to be) prickly little character has come in to our care as an orphan. At this size the puggle is only about 6-7 weeks old and hasn't opened its eyes yet. It will be in care for another several months before eventually being released back in to the bush at a safe location close to were it was found. Please remember how important responsible pet ownership is by not letting dogs roam outside your property and to also walk dogs on a lead in bush areas to reduce incidents like this happening. Dogs and wildlife can live in harmony but humans need to lead the way. Bonorong is so pleased to announce that we have won the 'Small Employer of The Year' category at the Tasmanian Training Awards! Some of the Bonorong crew attended the Gala Presentation Dinner at Wrest Point and were there to excitedly receive the award. 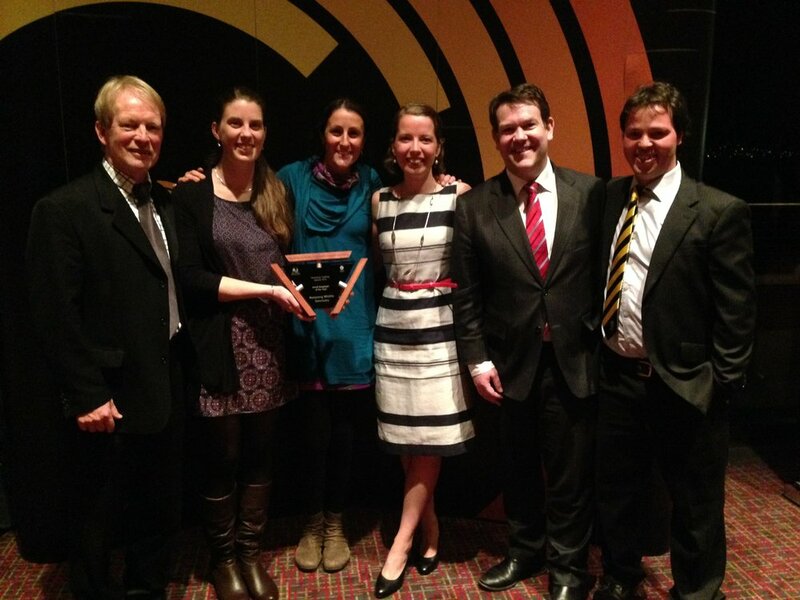 Here is a photo of Laurie Miller (our Animal Studies coordinator), Bianca Burford (our Animal Studies teacher), Petra Harris (our Sanctuary Manager), Grace Heathcote (our Conservation Programs Manager), Matt Groom (the Environment Minister) and Greg Irons (our Director) with our fabulous new trophy! The Sanctuary is literally the classroom for the duration of these courses, so it is an incredible opportunity for people to gain formal qualifications in amazing surroundings! A lot of you would know that Bonorong has recently built a wonderful 'Seabird Rehabilitation Facility' that has been desperately needed in Tasmania. The enclosure (complete with a large salt water swimming pool) has been designed so that it is big enough to be able to successfully rehabilitate a wide array of species but more importantly can accommodate large seabirds such as albatross, giant petrels and crested penguins too. This year we have had the privilege of rehabilitating two species of giant petrel - one southern and one northern. 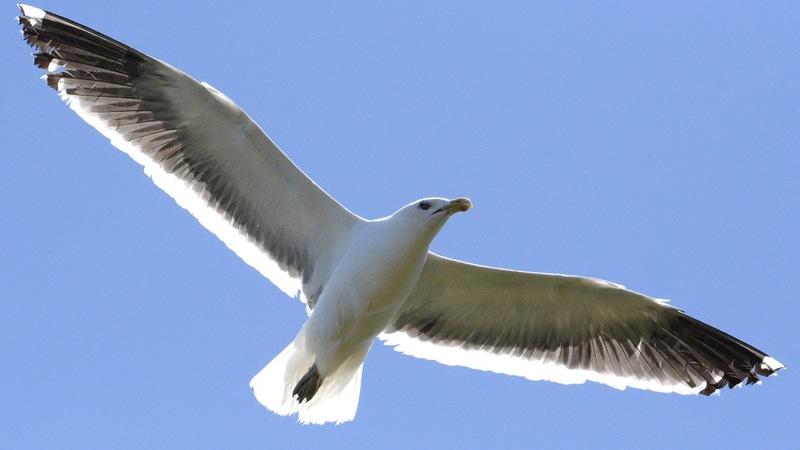 These magnificent birds weigh in at around 5kg and have a wing span of approximately 2metres! Both the petrels were successfully rehabilitated in our care and were released back to sea, which was an amazing experience for all involved! The picture below is of 'Crew' the northern giant petrel at his release site (just before he took off actually!) and what a charming, inquisitive character he was! Our seabird rehabilitation enclosure is an off display area at the Sanctuary because we need to keep the birds away from humans while they recover in our care. The enclosure can be viewed from a distance though, so just check with the keepers what we have in rehab at the time of your visit. Many of you may be unaware but this time of the year is known to all the staff at Bonorong as 'Shearwater season'. The Shearwaters surprised us this year as they have been a little behind schedule but since late last week we have had 23 come in to our care, which understandably has been keeping us very busy! Short-tailed Shearwaters (also known as Mutton Birds) are a remarkable little seabird and at this time of the year they are preparing for their annual migration to the Arctic region. These birds (that weigh a mere 500g) will fly over 15,000 km to get to their destination and after a few months of feeding on rich foods they will make the return flight home (yep another casual 15,000km!!) They return back to some parts of mainland Australia and Tassie to breed. You might be asking why are they coming into care then? Well what happens is the fledgling chicks are usually the ones that end up in our care as they are taking off for the first time. A lot of them get a little off course and can crash land or some haven't managed to get enough food before the big journey and are simply underweight. Both cases are usually dehydrated and need short term care to get them back on track and then released so that they can get on their way! If you do find a Shearwater over the next couple of weeks then please call us as soon as possible so that we can get the bird re-hydrated and in to our Seabird Rehabilitation Enclosure. Bonorong's 24 hour wildlife rescue hotline is 0447 264 625. Bonorong kangaroos soaking up the sun! 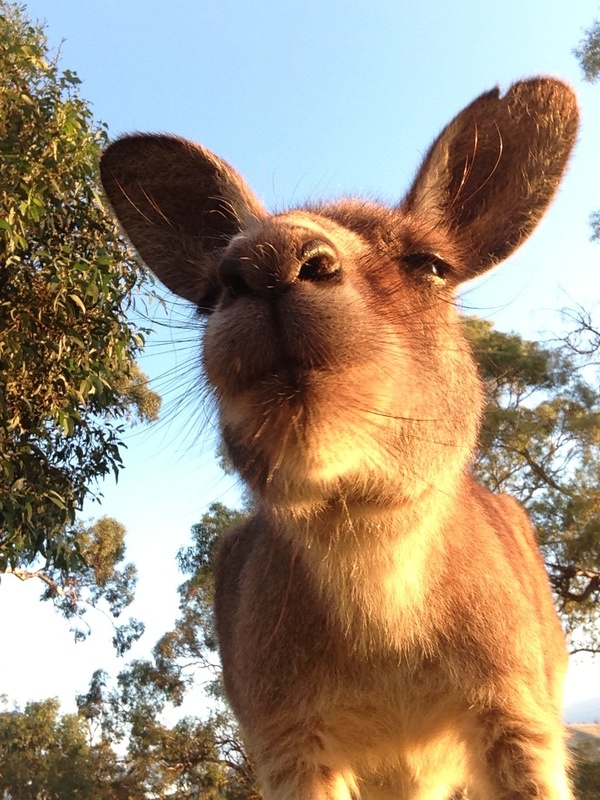 This is one rather content resident Forester Kangaroo soaking up the sun on a beautiful Autumn's afternoon here at the Sanctuary. Bonorong is open for normal business hours right throughout the Easter period so if you are looking for something to do then pop out and say g'day! Our daily guided tour times are at 11:30am and 2pm everday.